Cuphead is an indie game announced since 2014 that finally got it’s release date set to 29 of September 2017. Also known as the “all cartoon wonder game” Cuphead is built in the classic manner of sidescrolling run and gun titles with it’s main focus set on battle against multiple big bosses. More on this it’s said that Cuphead will brake the existing world record of 25 boss battles in a single game. The most impressing thing that stands out from the very first sight one takes onto this game it’s obviously related to it’s art style. A style that not only reminds us , but actually recreates the iconic look of the classic cartoons from the the early ‘30es. Cuphead manages to recreate this long gone universe by following the exact same techniques used to draw the characters and animations almost a century ago by hand. 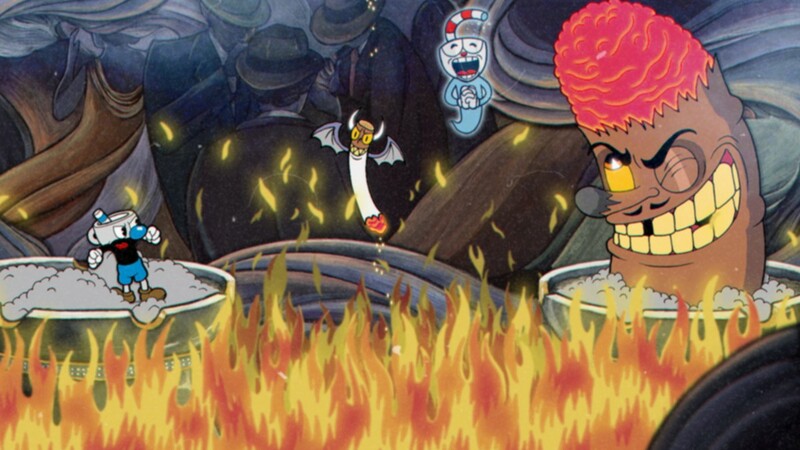 According to Cuphead game developing team CEO Chad Moldenhauer the inspiration for creating such a mind blowing game includes some consecrated retro titles such as Contra, Super Mario World, Street Fighter III, GunStar Heroes and Thunder force series, which they closely examined keeping the pro aspects and trying to offer a much better alternative for the cons part. For example Cuphead is a game where your character has an infinite number of lives, any weapons that you managed to collect will still be available after you die, and you also have the chance to use some sort of vehicles such as an airplane at some point making the game look something like Air Buster. One of the goals that took plenty of the developing time relates to fine tunings for aspects such as: hitboxes, screen movement, weapons balancing, and input response in order to grant a game play experience as close as possible to perfection. Just by having a quick look over the footages available online related to Cuphead demo gameplay is obviously that it required a great amount of time to draw each of every boss instances as every single one of them uses lots of attacks, moves and metamorphosis. Cuphead plot takes on a different approach compared to the general platform type of games that usually spins off the damsel in distress motive. 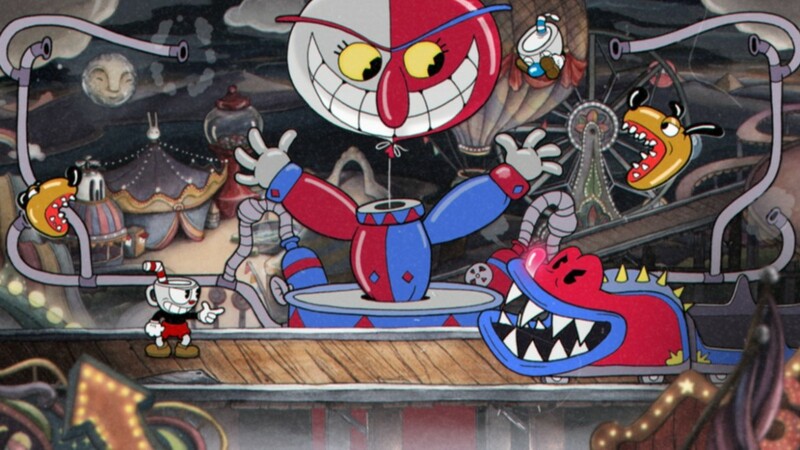 This time the game focuses on the mission of two characters, Cuphead and Mugman that lost a bet against the devil and that now must pay their debt by taking out bosses spread all over. Being a game built in the manner of classic arcades , it might look difficult to beat at first, yet the goal is to inspire the players explore all the variety of gameplay techniques that this title has to offer. In between the boss fighting stages the player is welcomed by a few classic side scrolling platform levels, yet the ratio is 75% to 25% when it comes to battle stages vs regular platform ones. The game also grants special powers for it’s 2 main characters as well as a collection of special moves and weapons to be used in order to stand a chance against the increasing in difficulty opponents. Beside the visual art style that has a great impact onto everyone coming into play with it Cuphead, also features outstanding jazz style soundtracks and SFX that required the same amount of titanic work put into in order to offer the highest possible quality. According to it’s creators the game’s music is 100% original especially recorded in studio gathering over 2 and a half hours of magic. The game is set to be released onto Microsoft platforms Windows and Xbox One and also on Steam for a price around 19.99$. The minimum system requirements to run this game are as follows: Intel I3 2100, 4GB of Ram, 1GB video NVidia GT240 or higher, Windows 10 X64 OS, DirectX 9.